The Concours of Elegance kicks off tomorrow in Edinburgh. The setting for this years event is the Palace of Holyroodhouse, an excellent choice for what will be a stunning selection of blue chip cars. 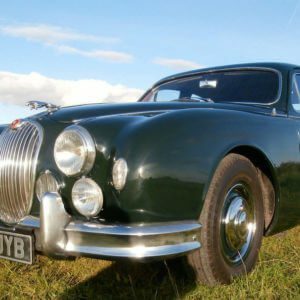 This years selection of 60 vintage, classic and modern cars ranges from a 1902 Westfield, a 1932 Alfa Romeo 8C 2300 Short Chassis Zagato Spider, a 1962 Ferrari 400 Superamerica Coupé Aerodinamico, a 1961 Aston Martin DB4 GT Zagato 2VEV and a 1983 Lamborghini Countach 5000S. 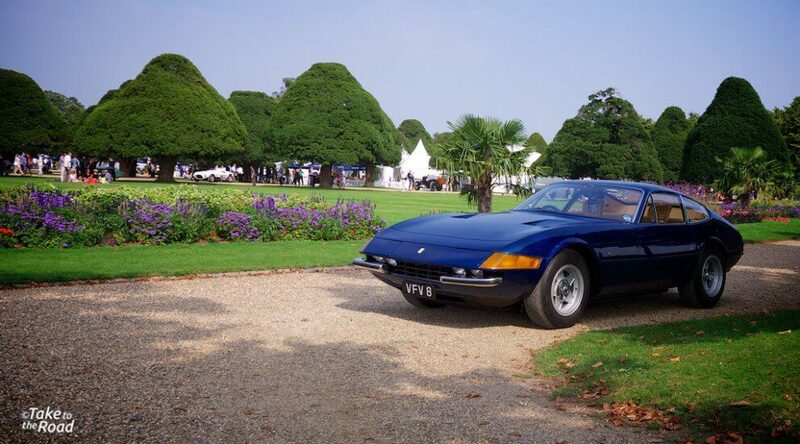 This Ferrari Daytona was one of many cars invited to display at the event. It looked right at home in the grounds of the palace. A gorgeous colour blue on this example as well. This is just a very small sample of the some of the superb cars that will be on show over the next few days. Unfortunately we can’t make it to the event this year. 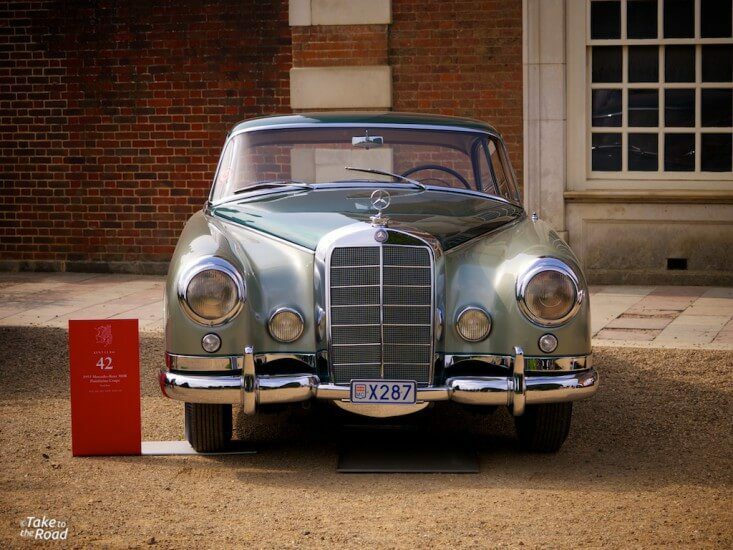 However we did attend the Concours of Elegance at Hampton Court Palace last year. So we thought we’d recap on our visit. 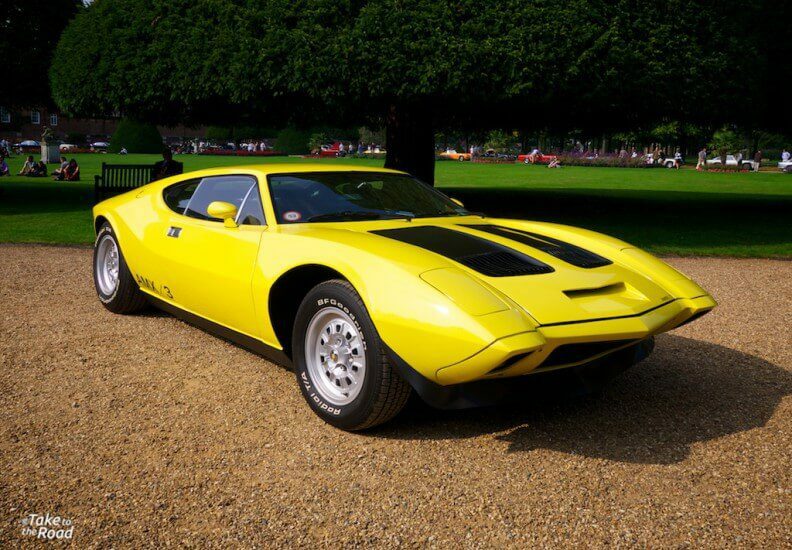 One of our favorites was this stunning 1968 Iso Grifo GL 350 S1. 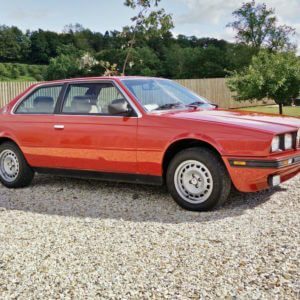 With superb coachwork by Bertone and a Chevrolet Corvette 5.4ltr V8, this was an Italian take on the American muscle car. The setting at Henry VIII former palace couldn’t have been better backdrop for the event. And we were blessed with perfect weather as well. The selection of cars on display was simply breathtaking. So much so it was hard to know where to look, let alone start, such was the array of vehicles distributed across the immaculately kept palace grounds. We spent the day there taking in all we possibly could, enjoying the moment when so much automotive heritage comes together in one place. This Mercedes Benz 300B was the result of a unique collaboration with Pininfarina. The project produced a very elegant coupe with wonderful lines and was the height of luxury in 1955. There was so much to see we’d actually recommend going for more than one day. Otherwise you spend too much time running around trying to see every car before the end of the day. If you enjoy classics and appreciate a fine palace as a backdrop, then the Concours of Elegance is the place to be. It is a pity we can’t be there for this years event but we’ll make sure to attend next years one. We wonder which royal palace will host the event next time. While at the 2014 Concours of Elegance we shot some footage and made a short film giving you a taste of the cars on show. And we photographed some of the beauties on display. We hope you like them as much as we did. Our film was made by Classic Cine Video Productions, our production house and is hosted on the Classic Cine Youtube Channel. This vintage Alfa Romeo was quite charming and a superb example of the company’s designs from the 1930s. 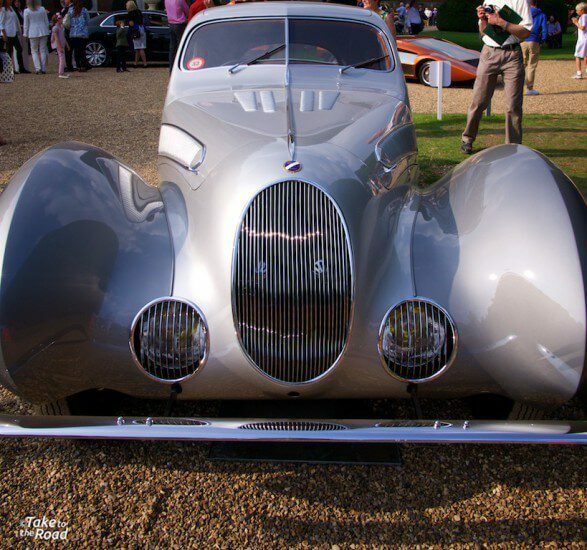 This jaw dropping 1938 Talbot-Lago T150C-SS Figoni ET Falaschi Coupe was the star of the show. It was a superb example the Art Deco tear drop car designs of the 1930s. Simply beautiful. 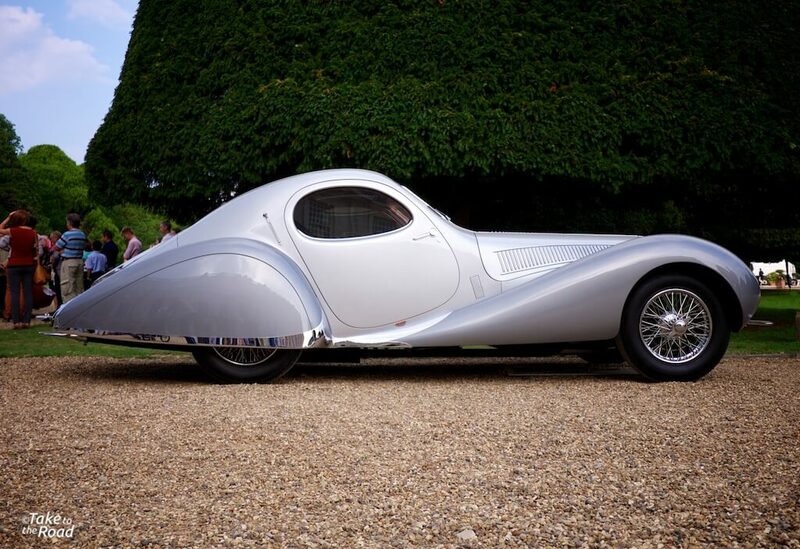 The elegance and curves of the coachwork are just breathtaking. A real beauty and a wonderful car to see in the flesh. 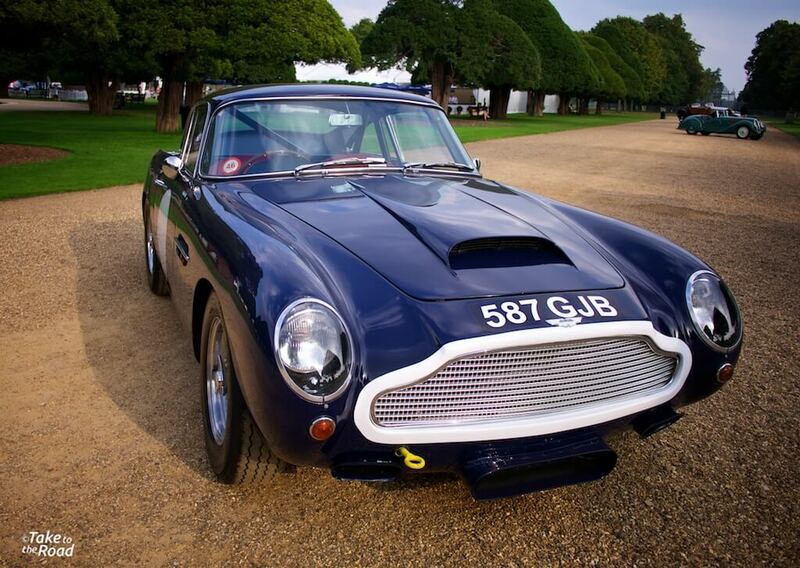 This 1959 Aston Martin DB4GT Lightweight is one of only two surviving road going examples. A rare example of what was a very successful model. This one won the 1960 BARC Goodwood meeting, with Stirling Moss behind the wheel. The only Ford on display was this 1967 Ford GT40. 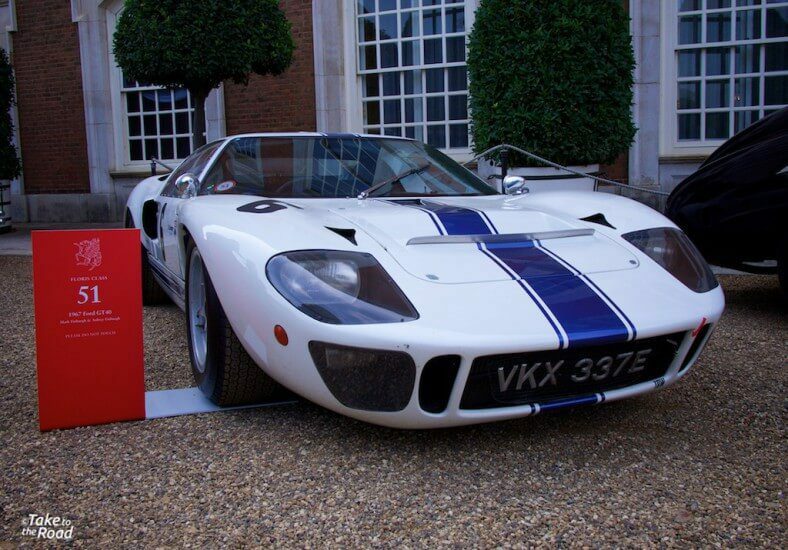 This road legal version was based on the successful racer than dominated Le Mans from 1967 – 1969. Super rare and super desirable. This wonderful 1961 Ferrari 250 SWB “SEFAC Hot Rod” is one of only 20 Berlinettas built. Super fast and super light, it was good for 0-60mph in 5 seconds! 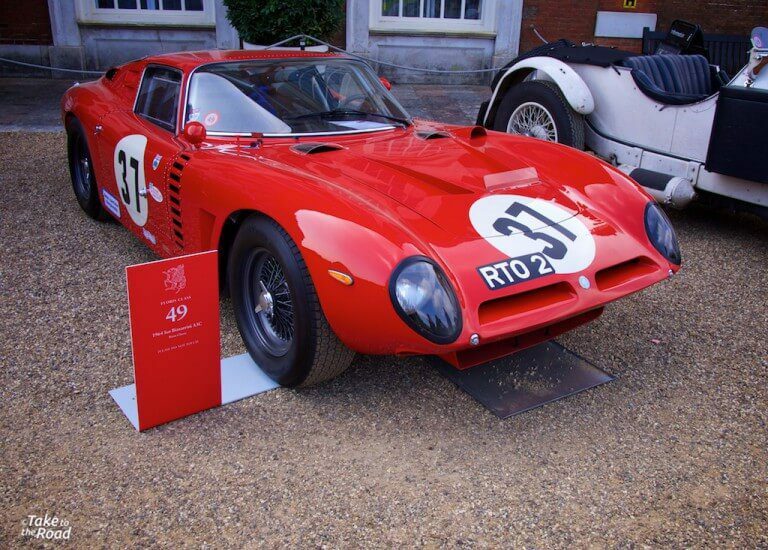 A stunning collaboration between America’s AMC and Giotto Bizzarrini, this American/Italian collaboration could have been a great supercar. But AMC pulled the plug on further development. What a shame. 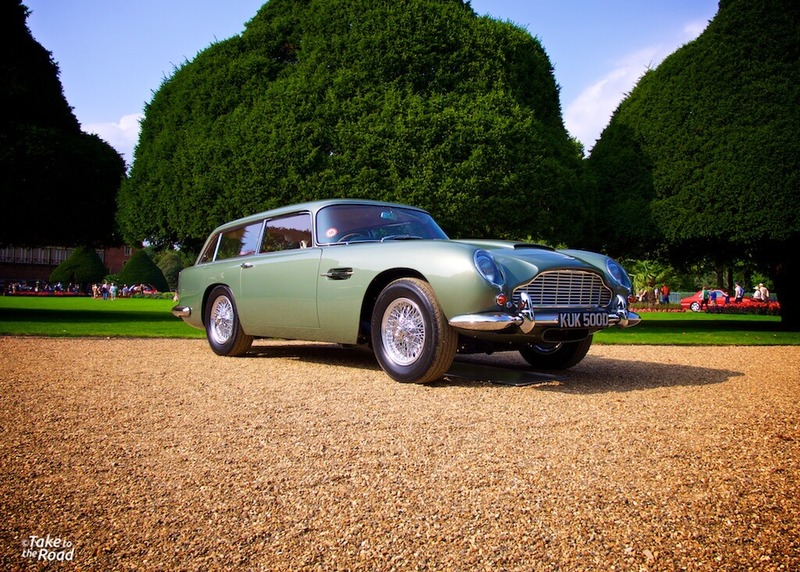 This 1965 Aston Martin DB4 Vantage Shooting Brake was specially built for company owner David Brown. So he could go hunting with his dogs. Just brilliant! So, which car is your favorite? Ours is the Talbot-Lago T150C-SS. Its just fabulous and it was a real treat to be in its presence. 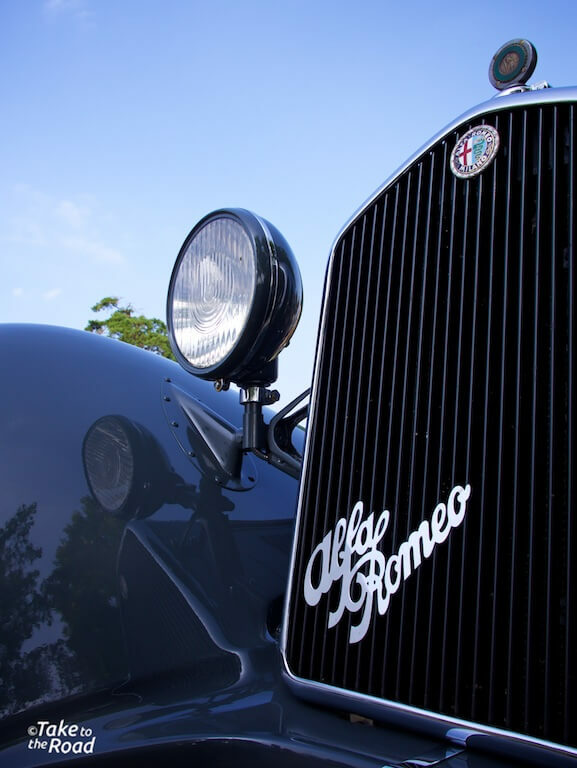 It was a superb day out and we look forward to seeing photos from the 2015 Concours of Elegance over the next few days. 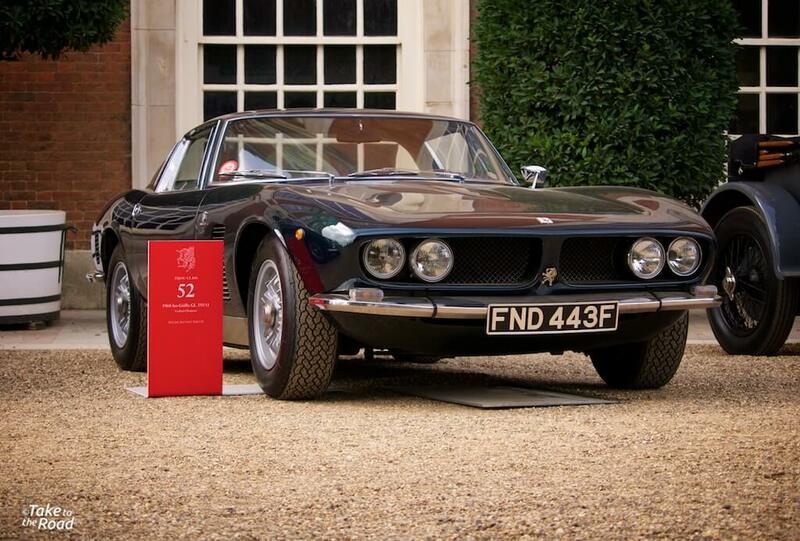 You can find out more about the 2015 Concours of Elegance here.